Jacket There are 17 products. Nathalie, it's a must in your wardrobe: the tailor jacket. 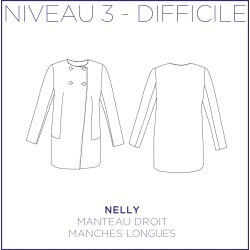 Nathalie "Motard", it's a basic of your wardrobe: the tailor jacket. With its "biker" detail on the shoulders, which gives a touch of originality and modernity.